Halloween got you shaking in your boots? I’ll protect you! My name is Hannah and I’m not afraid of anything, not ghosts, not vampires, not even zombies! 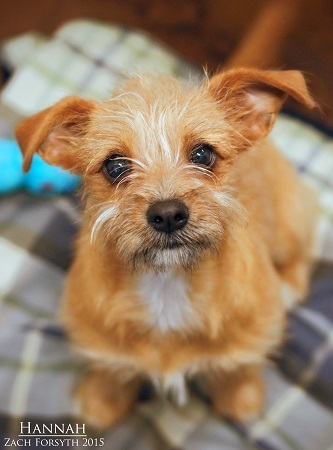 I may be small, but I’m spunky and ready to bring my terrier charm to your house! I’m only 3 months old, so I do still have a lot to learn and will need to go to puppy classes, but I’m not scared of those either. I know I will make a ton of friends and you will be proud of me! I do well with other animals and all people, but since I’m a puppy you will need to set aside extra time to work on training with me. Do I sound like the body guard your trick or treat group has been looking for? Fill out the adoption application so we can schedule a meet and greet! I am fixed, vaccinated, and microchipped. My adoption fee is $300.